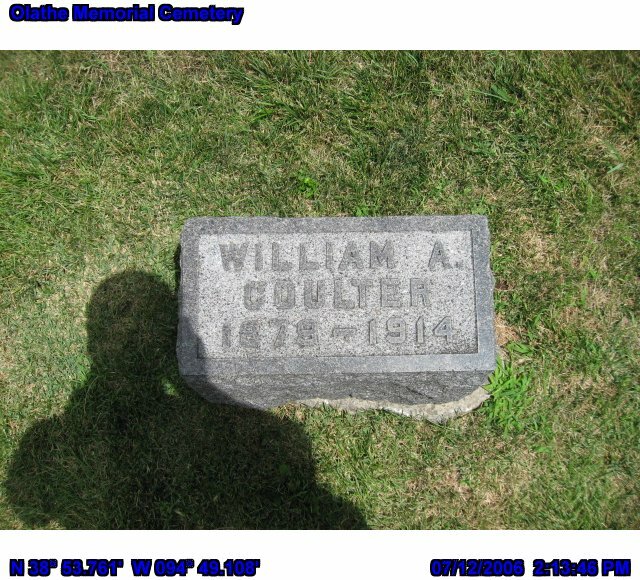 William S. Coulter passed away at the home of his brother, 211 S. Blake street on Saturday November 28 at the age of 35 years, 9 months. The funeral services were conducted at the R. P. church on the Monday following by Rev. F. M. Foster of Sparta, Illinois, assisted by Rev. J. C. Monteith of Olathe. 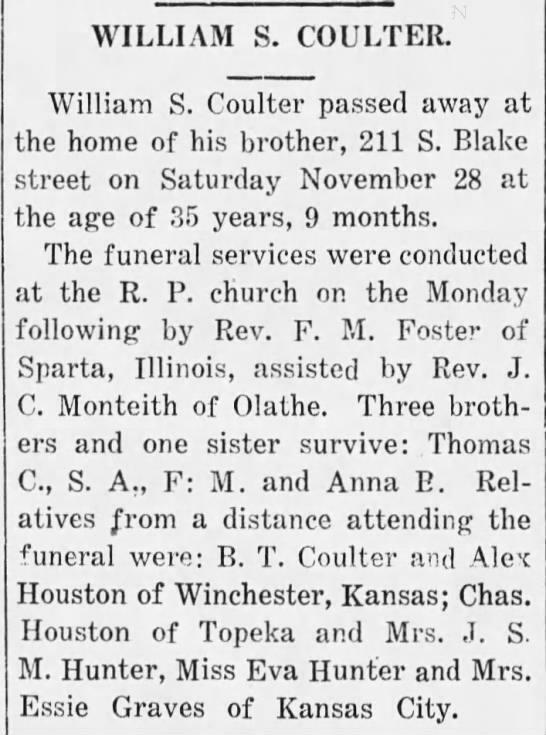 Three brothers and one sister survive: Thomas C, S. A., F: M. and Anna E. Relatives from a distance attending the funeral were: B. T. Coulter and Alec Houston of Winchester, Kansas; Chas. Houston of Topeka and Mrs. J. S. M. Hunter, Miss Eva Hunter and Mrs. Essie Graves of Kansas City. Please share your memories of Wm S..